Sunday’s sausage sizzle sells out! 1008 sausages on a 30deg day made for a very successful fundraiser to kickstart the club financially for next year. Drum roll….thanks to a lot of sausage turning, drinks fishing and great tune selecting, we made a profit of $2,045.42! The single highest value ever made at an SCRKC fundraiser! 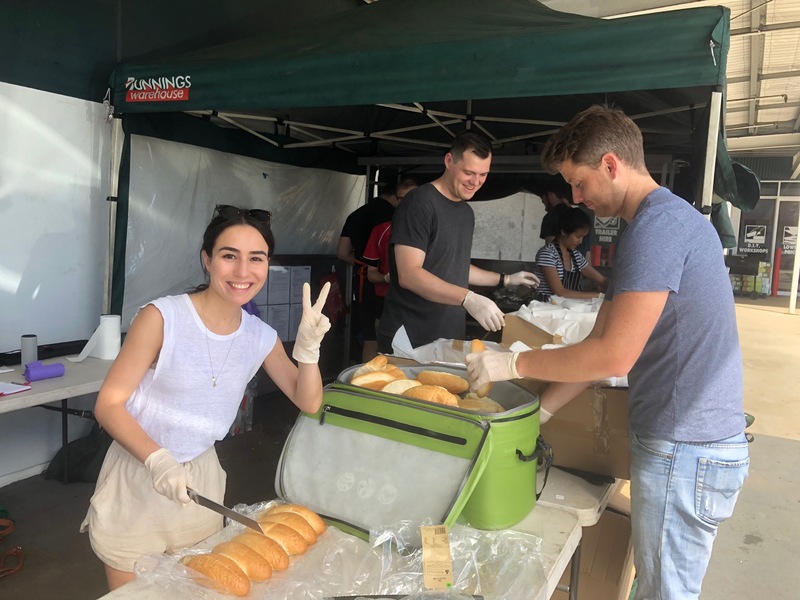 Massive thanks goes to Graham Morris, Victoria Wah, Tania Jorge, Sam Turtle, Ben King, Ben Mizzi, Jela Redulla, Jupiter Segall, Mark Zilm, Olivia Legrand, Ben Brazier, Marleen Jellema, Stacey Longley and Rob Allen for their time spent volunteering at Bunnings Alexandria. What an amazing club effort!